Are you looking for the Oneplus 5 USB drivers? To connect your Oneplus 5 to the Windows or MAC, you need to install the USB drivers for Oneplus 5. Without these drivers, you can connect your phone to the system and not even to manage files of your Oneplus 5 on your Windows and MAC. If you recently bought the new Oneplus 5 phone and wanted to setup USB drivers on your system. 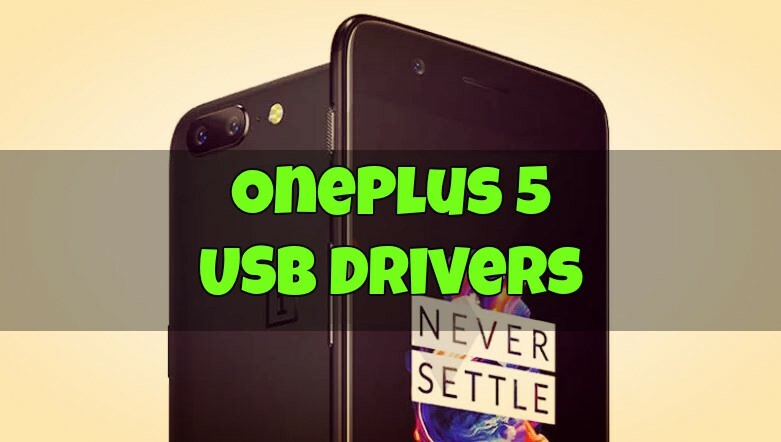 Here is the full guide which will help you to install USB drivers for Oneplus 5. Once the drivers are successfully installed on your desktop, you can transfer files between your system and Oneplus 5. Sometimes you want to transfer some files like videos, songs, or any other file from your Desktop to your phone. At that time you have to connect your Oneplus 5 to the PC with USB cable. But most of the time you can’t see your phone on your Computer. That means you system doesn’t have the right OnePlus 5 USB Drivers. So to successfully connect your oneplus 5 through your PC or laptop or mac you have to install these drivers. And in future, if you want to unlock bootloader of Oneplus 5, Install TWRP, or Root Oneplus 5 you need these drivers + ADB and Fastboot drivers to run the ADB commands on your system. So without wasting time lets us take a look how to Download OnePlus 5 USB Drivers & ADB / Fastboot Drivers. Download OnePlus 5 USB Drivers here and extract the folder on your desktop. Download and extract the zip file on your computer and connect your phone. In the folder, you will see three files. See the screenshot below. If you are the Windows User run OnePlus_USB_Drivers_Setup.exe. Now this will install and setup the Oneplus 5 USB drivers on your system. Reboot your system, and you are ready to go. As we already mention above to root, Unlock Oneplus 5 you need to install the ADB and Fastboot drivers. You can setup these files with one click on your Windows PC. Visit this link to setup ABD and Fastboot drivers of Oneplus 5. All you have to run one setup file on your system. It is a straightforward process; there is no need to add extra efforts.